They report that the co-host of the far-left podcast, The Guillotine, recently took to Twitter to brainstorm with his 5K+ followers about the best way to organize an armed insurrection. 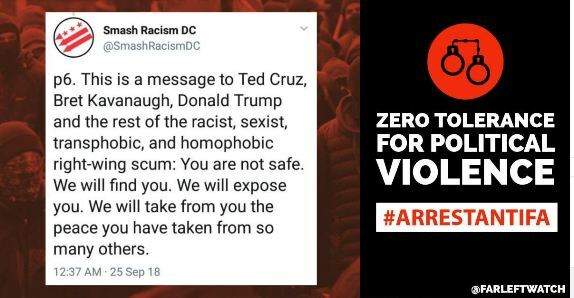 Courtesy of Far Left Watch here is the full thread (archived thread) in which this extremist leverages his followers to fine tune the best strategy for a violent armed insurrection. At one point he asked if “ambushes” and “assassinations” would be more effective in southern states. He also suggests using “easily concealable [weapons] platforms” so as not to “tip anyone off”. Here are just a handful of the people he wants to put against “the wall”. Submitted by jgo on Tue, 10/16/2018 - 11:26. There is that undefined word again.